It looks like we will see a parade of storms and hurricanes in the eastern Pacific over the coming days. Right now, we have TS Agatha which is weakening over cooler water and TS Blas which is about to become a hurricane. Both systems continue to remain well off the Mexican coastline and will have virtually no impact on land. 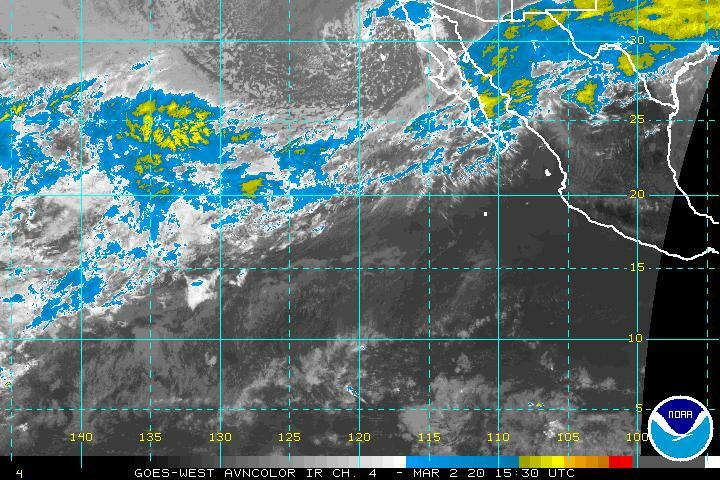 The recent burst of activity in the east Pacific can be partially attributed to a more favorable pattern overall that has allowed convection to develop and thrive. This phenomenon is called a convectively coupled Kelvin wave or CCKW. What is that you ask? It is difficult to explain but essentially it is an eastward moving wave of energy, bound by the equator to its south, that seems to enhance convection and vorticity (spin) in the atmosphere. Another way to look at it – the spark that lights the fire. Often times the passage of a CCKW will trigger the development of tropical waves as they progress across the ocean. In this case, the east Pacific took advantage of the passage and now we have two tropical cyclones and a third likely later this week. The good news is that none of the systems seem bound to affect land areas. Will the CCKW make its way in to the western Caribbean and/or Atlantic and thus set up potential development there? So far, I am not seeing much evidence to support that. The global models all indicate generally quiet conditions over the Atlantic, Caribbean and Gulf for the next several days. This is not surprising considering that when the east Pacific is active, the Atlantic is usually not. It’s also early July and from a climatology perspective, we are not supposed to see much activity right now anyway. In other news, it’s now been two years since a hurricane of any strength made landfall along the U.S. coastline. That hurricane was Arthur in the very early morning hours of July 4, 2014. I was in the eye of the category two hurricane over the Oregon Inlet in fact where the wind was about as calm as could be for about 20 minutes. Arthur produced moderate storm surge flooding, in some cases 4 to 5 feet of it, along portions of the Outer Banks, mainly south of Oregon Inlet. The disruption to tourist season was a major issue but the area rebounded quickly and fortunately, no other hurricanes had direct influence on the Outer Banks that season. I will cover Arthur’s anniversary and more in my video discussion which will be posted later this afternoon. The 2014 Atlantic hurricane season is now officially over. We can enjoy a full six months of not having to worry about hurricanes – at least that’s the way it should be. You never know, but by and large, from December through the end of May, the Atlantic Basin behaves itself. We ended up with eight named storms and six hurricanes. That’s not too shabby for a season that was supposed to be very quiet. Out of the six hurricanes that formed, two became major with Gonzalo leading the way, peaking out at 125 knots before weakening as it approached Bermuda. All in all, the season was tame for the United States – with a few exceptions. For Bermuda and Nova Scotia, it was a different story. The same can be said for parts of the Southwest United States and of course Mexico but those impacts were from east Pacific hurricanes which were plentiful and fierce. Over the next four weeks, I will post a series of reports on how the 2014 season was from a field-mission stand point. Actually, the season afforded me several opportunities to study the effects of hurricanes, some in very unique geographic locations. I never take that privilege for granted and am humbled to be able to do what I love while contributing to the science and understanding of these amazing forces of Nature. Hurricanes are not evil, they are necessary and it’s just a matter of leaning to live with them. Each time I encounter the effects, no matter how severe (or weak) I learn something new and utilize that knowledge when speaking to groups, conferences and in my future field work. Since few people ever truly experience the full-on wrath of a hurricane, I have a duty, in my opinion, to translate my experiences and data in to something that can help people prepare. I still believe that the single largest issue we face is the public’s lack of understanding of tropical cyclone hazards. Too much attention is placed on wind or category and not enough on the whole picture. I was lucky to have been in the eye of two hurricanes this past season: Arthur in early July and Gonzalo in mid-October. Each presented me with opportunities to capture valuable wind and pressure data while also documenting the events with video and social media work. In addition, I spent almost 10 days out in the Southwest United States where two dying Pacific hurricanes unleashed tremendous amounts of rain over areas that normally remain arid yet depend on these rare events for moisture. The results were incredible and set records in some cases. Sadly, lives were lost and property was damaged or destroyed while significant disruptions to travel and commerce wreaked havoc. These stories don’t grab the headlines in the normal way that we are used to when dealing with hurricane impacts. Rest assured, as I will show you, the only difference is location and where the hurricanes originated. I observed it first-hand and will discuss my findings within the blog posts over the coming weeks. Tomorrow, I will begin with hurricane Arthur which made landfall along the North Carolina Outer Banks during a time that is critical to the local economy. There were several firsts that took place, all of which I will go over in detail in tomorrow’s post.